Vivian Zhang is CTO and chief data scientist for the NYC Data Science Academy, an educational and career development organization that provides rigorous technical and strategic training for individuals and corporations. The NYC Data Science Academy offers a variety of services including full-time bootcamps, part-time courses, corporate training, consulting, and career services, and is committed to improving the data science community and all of its members. 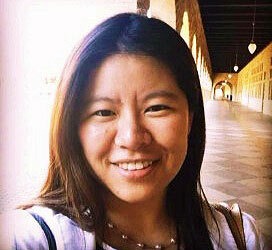 In this exclusive interview with TechNewsWorld reporter Vivian Wagner, Zhang traces her journey from passionate open source activist to data science training evangelist. TechNewsWorld: What is the mission of the NYC Data Science Academy, and why is it an important institution? Vivian Zhang: We teach data scientists. We train companies and their employees, since we believe it&apos;s important to understand and benefit from the data. We excel in data science consulting, and we encourage our clients to train their team to do the work. That&apos;s why we do a lot of corporate and individual training. We offer live-streaming and recorded video format, and we also offer training in person in New York City. Teaching is very fulfilling. We have helped about 1,300 part-time students and 300 full-time students to advance their careers. TNW: What is your role with the NYC Data Science Academy? Zhang: I&apos;m in charge of the technical side of things -- coming up with the prototypes to enable our clients to understand data science. Every quarter we&apos;re updating content, and we&apos;re trying to be innovative and creative. We want to challenge traditional data analysis methods, and we want to inspire other people to do a better job with data analytics. Traditionally people use a lot of closed-source software, but we&apos;re focusing on the open source world. Millions of people are contributing to those projects now. People are increasingly moving toward open source. The iteration and the enthusiasm of the community surpasses anything you can see in the closed-source community. TNW: What inspired you to do the work you&apos;re doing with the academy? Zhang: I was a volunteer in the open source community for 10 years. That&apos;s initially how I started a consulting business, because I&apos;m so passionate about it. The school is a coincidence. I taught data science in my meet-up group, and it grew quickly, since companies wanted training for their employees. I never thought I would become a teacher. TNW: What are some of the most significant current trends in the field of data science? Zhang: The big problem is that the industry does not have official data science training. Their majors don&apos;t teach them anything in the industry. We&apos;ve become a natural transition funnel to bring those people in. Companies know that data science is important, but they don&apos;t know how to do it. So we help to train and select and qualify the candidates. The field changes so fast, and there are changes happening every day. That&apos;s why we&apos;re trying to keep up and educate our candidates. Universities will eventually offer it, but students are still not taught what the industry needs. At the university, you have to have your curriculum approved a year ahead, so naturally you&apos;re always behind. It&apos;s not in the university&apos;s genes to teach the most up-to-date content. I think that it is the future for continuing education. College education is very important. People need to go to college to understand who they are, but in order to get hands-on experience, you need an institution like us. To learn really useful skills, you need to go through other entities. TNW: What advice would you give young people, especially girls and women, who want to get into data science? Zhang: Data science is great -- but to begin with, kids need to learn math, coding and accounting. That way they can manage their own finances and also understand the theoretical framework of the field. Girls are less encouraged to go into science, but if they don&apos;t learn the difficult things, they&apos;ll never advance. It&apos;s better to do the difficult things early. TNW: What challenges have you faced as a woman in a tech field, and how have you overcome them? Zhang: Most people I run into are very friendly, but I also see challenges, in that it can be difficult to earn trust and respect. I would suggest people should work hard. We reach out to women. We do a lot of talks toward women at universities. We&apos;re always giving people information who want to know more about this field. TNW: What&apos;s in the future for the academy? How is it evolving? Zhang: We&apos;re consistently seeing growth every year. The next big step is to really grow our online training. Right now, we have clients from around the world, and we want to make it a better experience so people feel like they&apos;re learning in person. Next year we&apos;re forming partnerships in China, and in the U.S. we are building a huge network of over 10,000 data scientists to offer mentorship and consulting to people to help them move forward with their new careers.